Beautiful large form work from Roscoe Mitchell – the famous saxophonist working here as a composer/conductor, but on music that's based on earlier improvisations created by his trio! 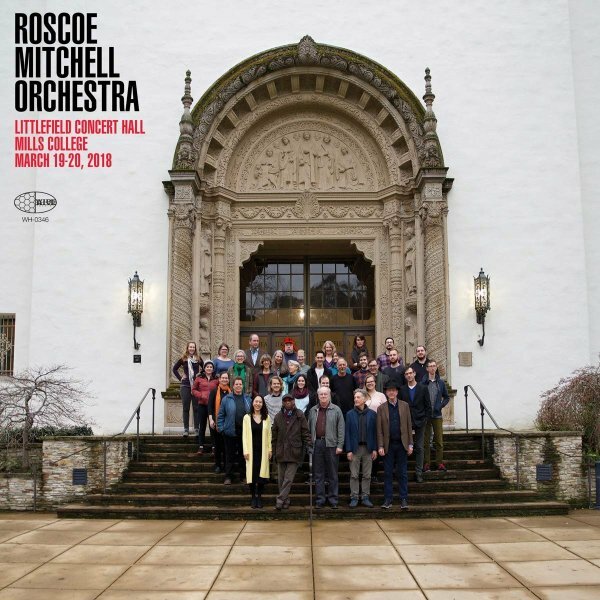 The large ensemble has a really compelling blend of instruments – flutes, oboes, French horn, trumpet, trombone, percussion, cello, violins, and live electronics – mixed occasionally with baritone voice, and used with all those sonic sensitivities that have always made Mitchell's music far more than jazz, and even far more than improvised jazz. Part of the scoring here comes from improvisations that Mitchell created in a trio with pianist Craig Taborn and drummer Kikanju Baku, but the performers themselves are also given plenty of space to improvise amidst the orchestra – on titles that include "Rub", "Nonainainah", "Wah Wah", and "Frenzy House". © 1996-2019, Dusty Groove, Inc.